Ballarat is a county town in Victoria, the south end of Australia. I was born and lived here until the age of 15. (I then moved away for ballet training). ​My entire family still lives in Ballarat and where I say when I'm on holiday's. ​Ballarat's food scene was commendable, but it's only in the last couple of years they've put themselves on the map. Namaste Nourishment was the first cafe of it's kind, specialising in raw food (they also have cooked dishes). Their creative plant-based menu always involves colour, texture and of course delicious flavours. 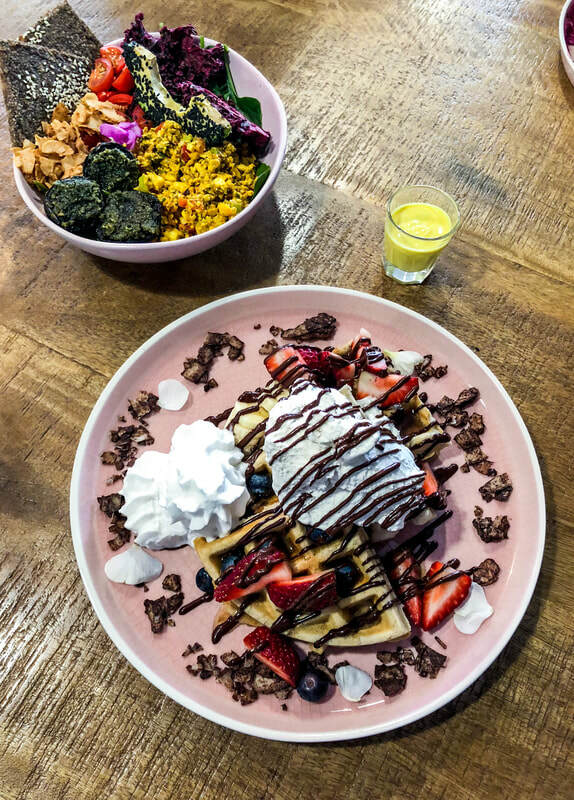 Namaste also smashes it over on Instagram, with consistent updates on menu items and available sweet treats. Seriously, I drool over their rocky road, brownies, snicker slice and choc-mint cheesecake!